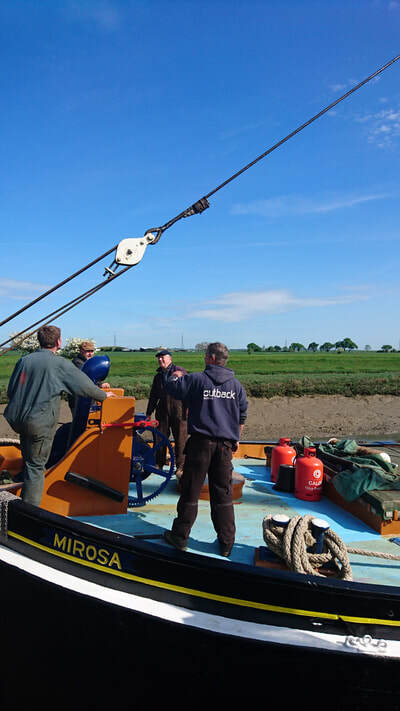 We are very privileged to have Mirosa moored at Iron Wharf Boatyard. 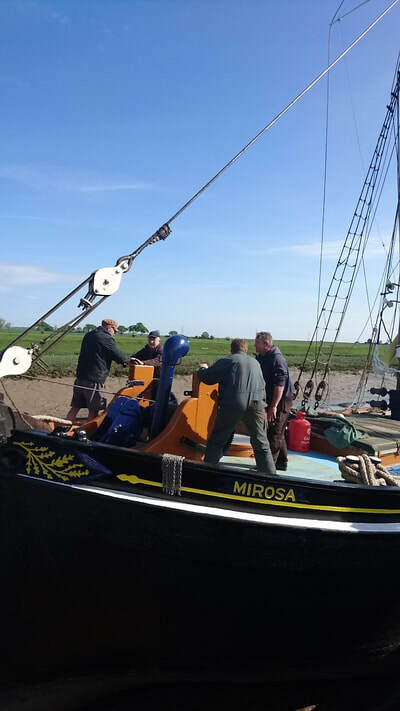 MIROSA was built in 1892 at Maldon, Essex by John Howard. 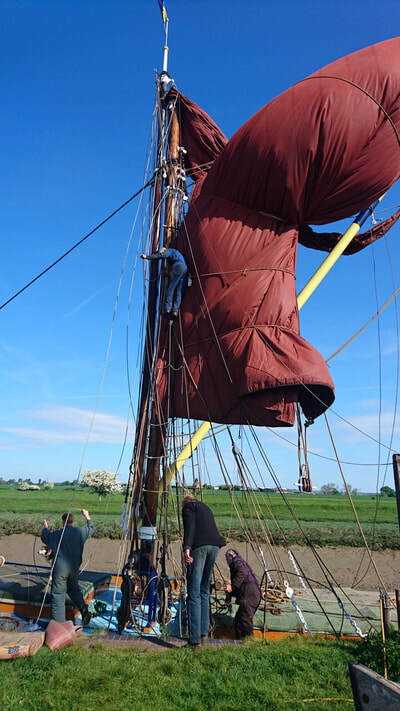 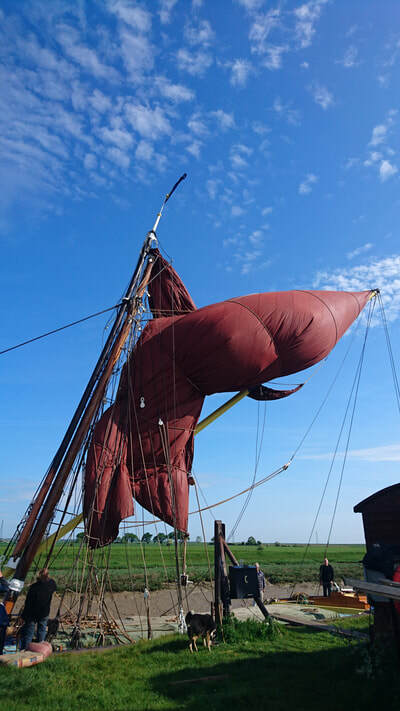 Originally called “the READY” she was built primarily for carrying hay, straw and timber between the port of London and the rivers along the Essex, Kent and Suffolk coasts. 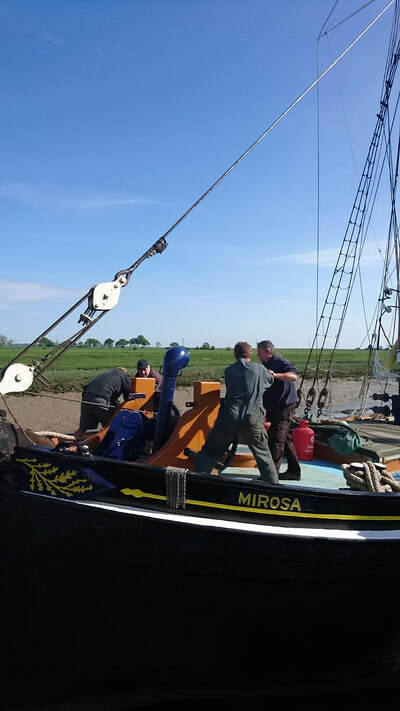 Mirosa has been based at the Iron Wharf Boatyard for 40 years from where she has undergone extensive rebuilding. During the summer months Mirosa is available for Company Charters and Day Trips for individuals.